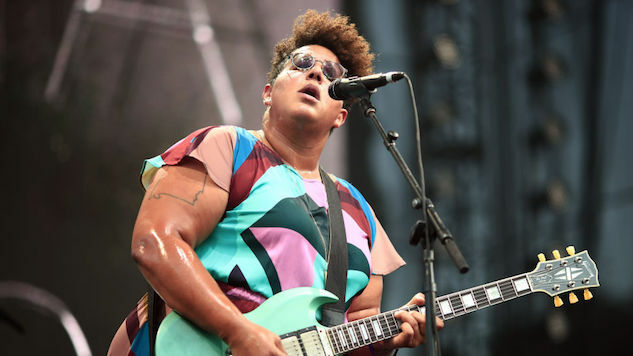 Brittany Howard, the vocalist for alt-soul rockers Alabama Shakes, has a new band called Bermuda Triangle. The band, comprising Howard, Jesse Lafser and Becca Mancari, is set to make its live debut on July 12 at the Basement East in Nashville. Not much is currently known about the group, but it has been confirmed that the band’s live set will include unreleased material from all three members. Recording plans are not set in stone as of now. Mancari told NPR that concert attendees can expect “drum machines, heavy harmonies and someone on a standup bass.” With that being said, it seems that Bermuda Triangle will present a musically diverse sound. This isn’t the first side-project Howard has participated in, the first being 2015’s blues-punk group Thunderbitch. St. Louis’ Lafser already has two albums under her belt and Staten Island’s Mancari is expected to release her debut album, Good Woman, this fall. Both Lasfer and Mancari live in Nashville. It appears that the trio is trying to maintain an aura of mystery. As NPR reported, Howard jokingly told a reporter that they all met “in a church of Scientology.” Nashville’s intimate venue Basement East is certain to be packed to the brim on July 12. Time will only tell what comes of Bermuda Triangle, but it’s surely an exciting project. Enjoy an Alabama Shakes performance from the Paste Cloud below.